Item number Ce211 from the MOA: University of British Columbia. 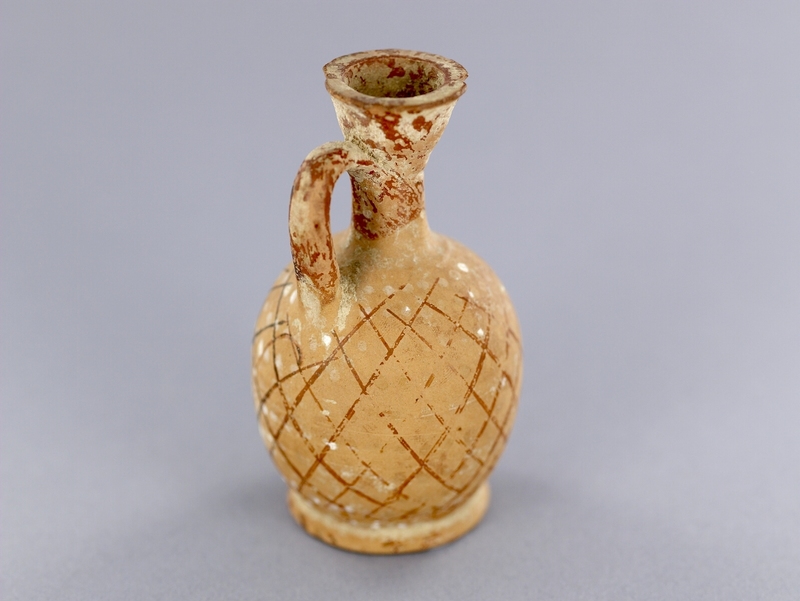 Long-necked small lekythos made of light red clay with a reddish slip. The handle is thin and oval shaped; funnel-shaped neck and a deep flaring mouth. Flat, disc shaped base. The body is decorated with a crisscross pattern; white spots on handle side. Jar for containing oil which is used instead of soap. It is applied to the body and scraped off. 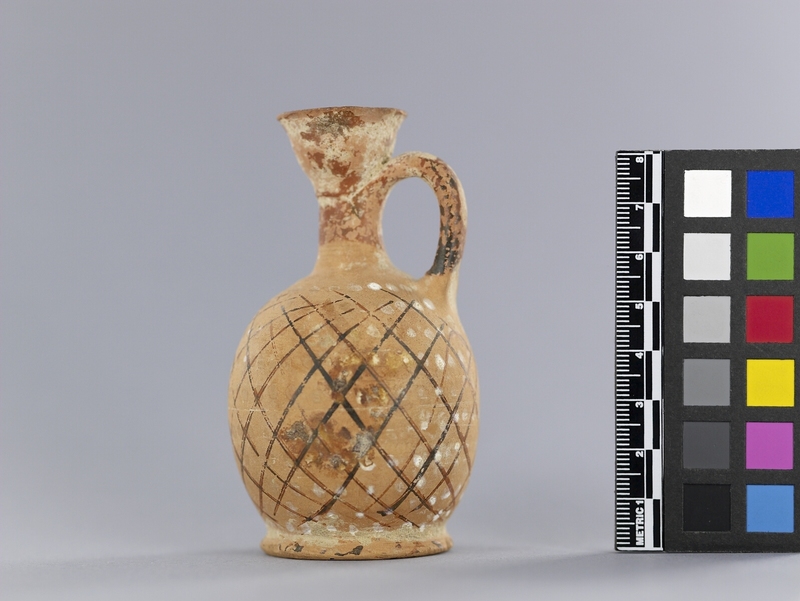 This jar is a miniature version used as an offering to the dead in burials. Size suggests it was worn on the wrist and the quality suggests it belonged to a middle class family. Symbolizes a functional oil jar.